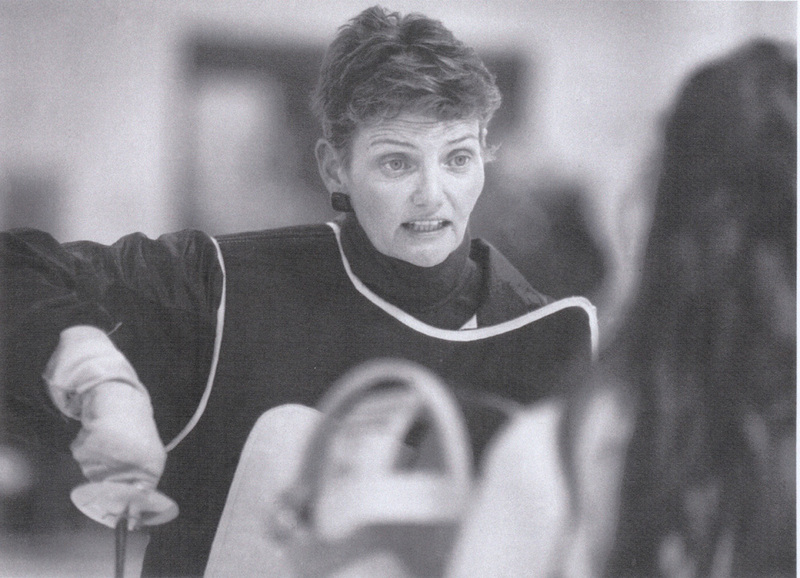 Magnet’s fencing history began with one woman, Ms. Sharron Settlemire. In 1980, Ascension D. Smith formed the great institution of Caddo Parish Magnet High School. 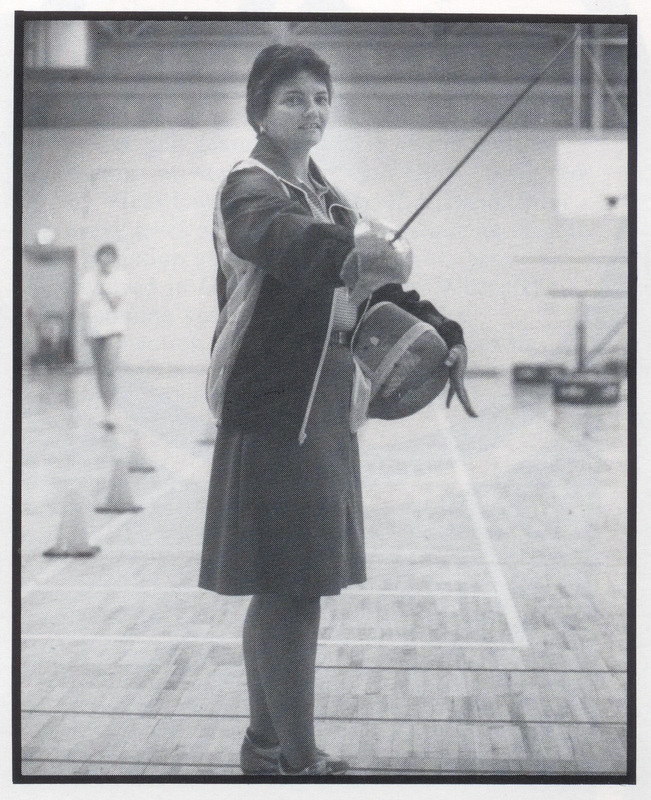 Along with forty-one other teachers (the originals), Ms. Sett, as we have come to call her, began the first fencing program in Shreveport. Up until 1990, fencing classes were held in the gym. 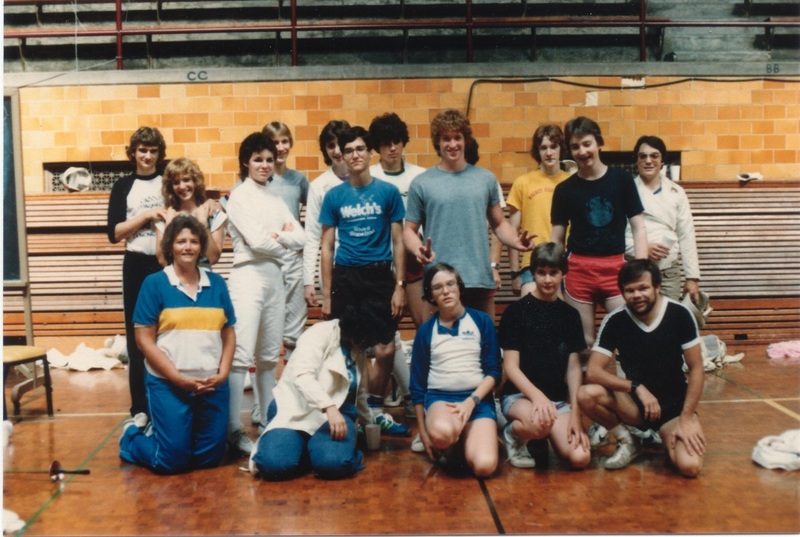 During the 1990-1991 school year Ms. Settlemire’s fencing classes were relocated to the then new fencing room. 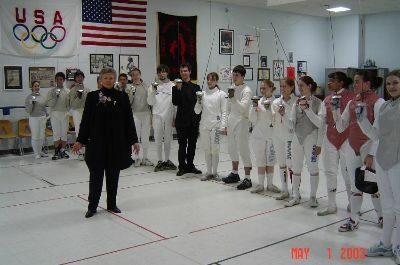 In all, Ms. Settlemire taught fencing at Magnet for twenty-two years. 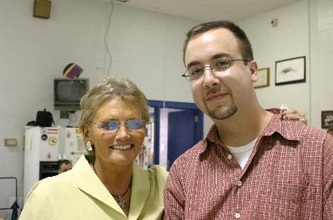 She ended her tenure in the Spring of 2002. CM: How long have you lived in Shreveport? CM: What brought you to Shreveport? SS: I came to teach at Centenary. CM: How many siblings do you have? SS: I have one sister, two nieces, one nephew (a Magnet grad), and a great-niece who will be a freshman in 2005-06. CM: What high school did you attend? SS: B.S. degree- University of S. Arkansas, M.S. degree- Henderson State University, M.S. plus 30- Centenary and LSUS. CM: How did you become interested in fencing? 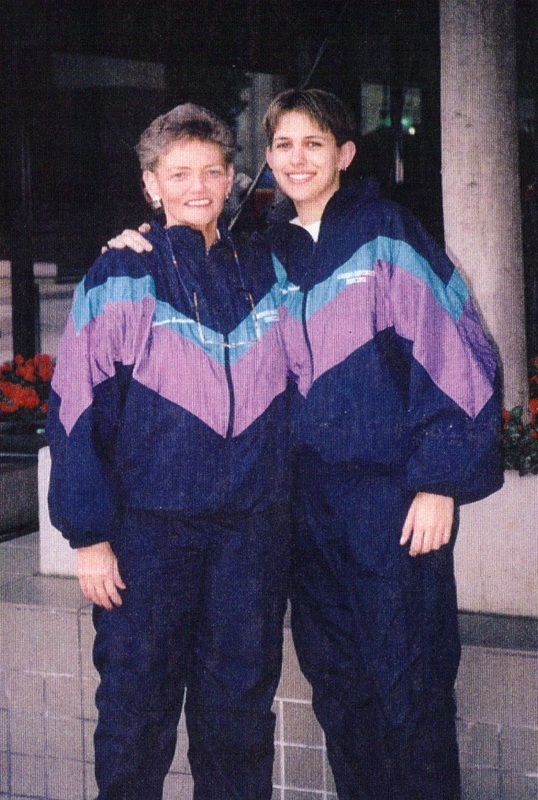 SS: I grew up as a competitive swimmer, but during college, I was required to teach a fencing class, even though I didn’t really want to learn about it. 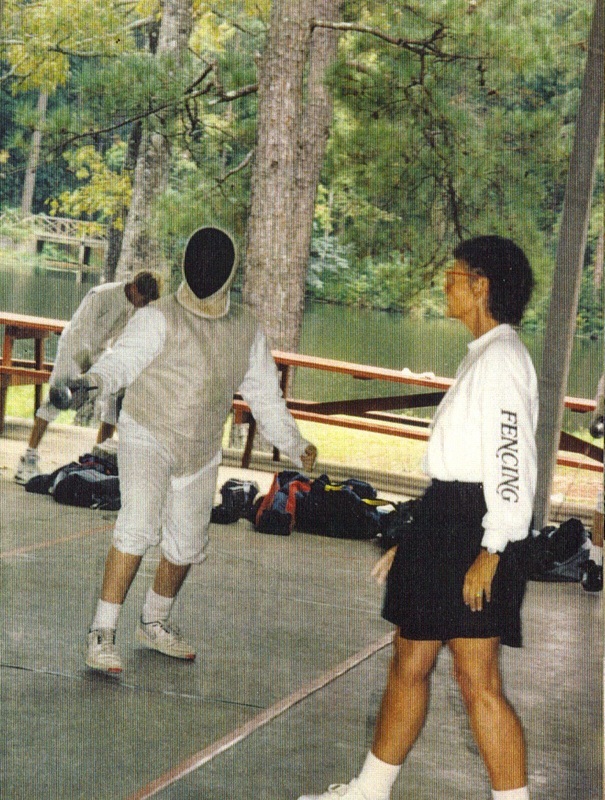 …But I did teach one class of fencing while I taught at Centenary, and this sparked my interest, and I decided to delve into the sport/art of fencing I attended workshops, seminars, etc… as I could. In 1980, Ascension D. Smith had me join the pioneers of Magnet. I agreed. The first year, I had one class of 14 students, and four swim classes. 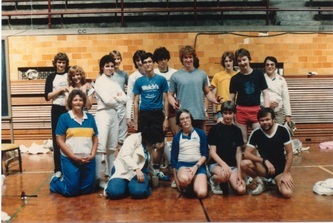 By the mid-nineties I had five fencing classes with an average enrollment of 150 students overall. CM: How long were you at Magnet? CM: What was your most heartbreaking loss? 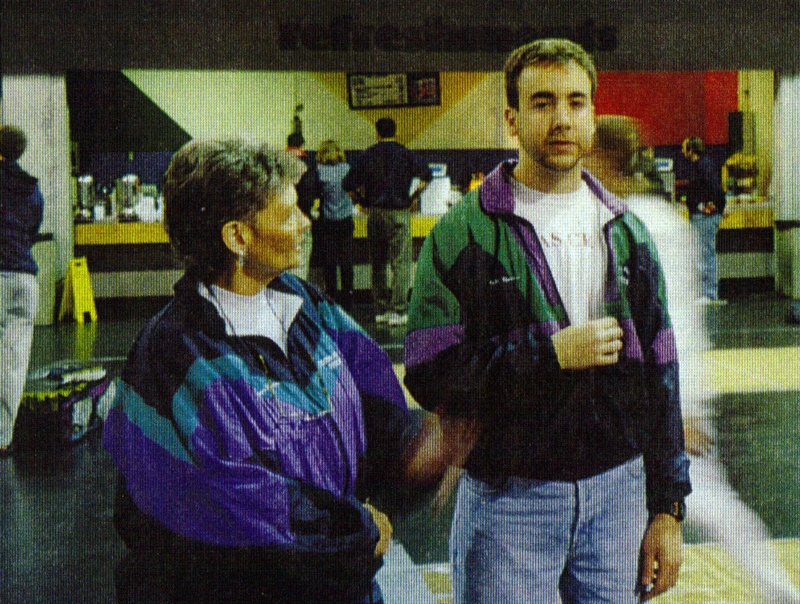 SS: My personal heartbreaking losses don’t involve fencing bouts, but losing two of my fencing family members, Rose Condon and Todd Womack, within a year of each other. It was a devastating personal loss. 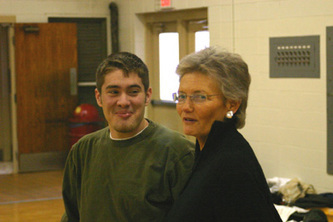 Both Rose and Todd were awesome young people. I was so fortunate to be a part of their lives. CM: What do you want to happen to fencing in Shreveport? CM: What are your retirement plans? SS: For so many years of my life consisted of fencing, fencing, and fencing. I can now do everything that I put on the back burner for so many years… travel, paint, read, swim, and have lunch with friends mid day. I love, love, love retirement!! !